Looks like John Carpenter still has some surprises left in him: Like a masked killer rising from the grave, the director has returned to save the Halloween franchise from itself. According to Deadline, Carpenter will executive produce a new Halloween movie (not a remake) alongside Blumhouse Productions, a company that has become a household name for horror fans with the Paranormal Activity, Insidious, and Sinister series. No director has been announced for the project as of yet, but Carpenter will reportedly work closely with whoever that is. Carpenter intends the eleventh film in the Halloween franchise to be a course correction, something he made clear at an event announcing the new project (as reported by Birth.Movies.Death). “Michael Myers is not a character,” he said. “He’s not a person. He’s a force of nature. 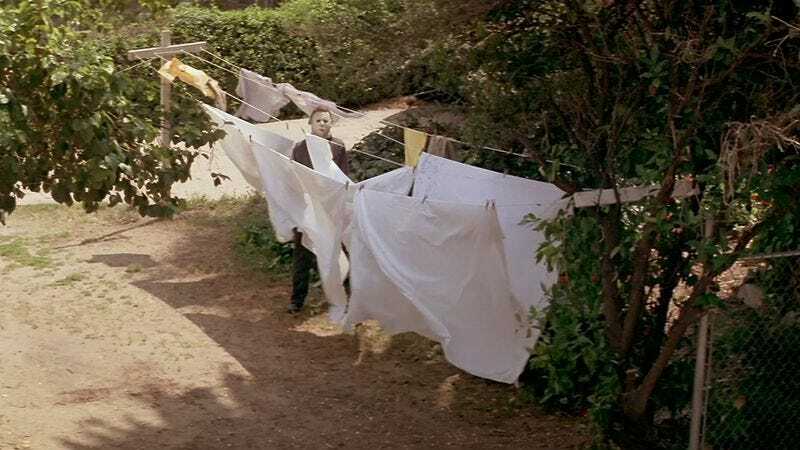 He’s one part human and one part supernatural.” That’s a bit of a dig at Rob Zombie’s take on the franchise, particularly 2007’s Halloween 2 and its silly flashbacks to a young Mikey M. and his mom. Two more promising details: Carpenter himself is in talks to compose the score, and Blum says that the project will be low budget—under $15 million, the level at which Blum says investors start wanting to get a little too involved in the creative process. Why is it a surprise for a famous director to return to a franchise that, one can only assume, has been very profitable for him over the years? Synths aren’t free, after all. Well, for one Carpenter doesn’t like to discuss his old movies in interviews, saying he finds the whole thing rather boring. He’d much rather talk about his newfound career as a musician, and these days seems to prefer just writing themes for movies and skipping the whole tedious filmmaking part. (He called his albums Lost Themes and Lost Themes 2, for Christ’s sake.) And it’s been six years since his last directorial effort, The Ward, so the evidence that John Carpenter was done with movies for good looked compelling.